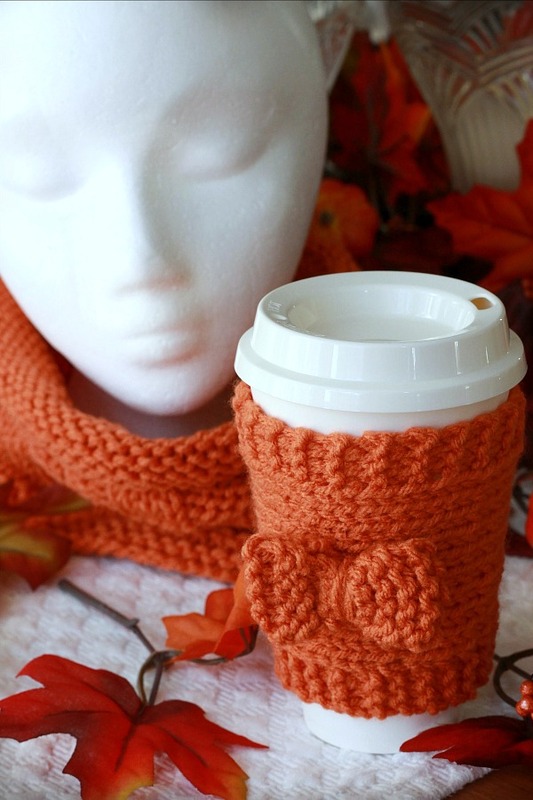 The leaves are blowing, there is a chill in the air and a hot beverage might be just what you need to warm up. 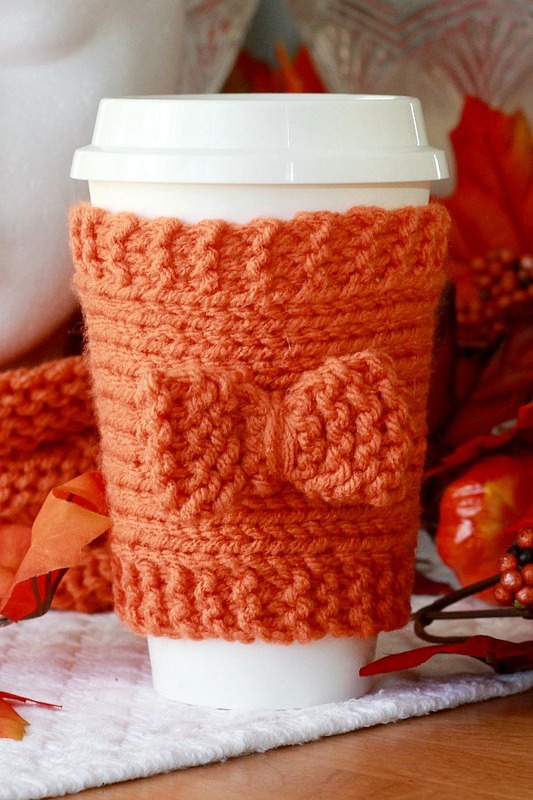 Keep your pumpkin spice coffee or hot chocolate warm with a knitted cozy. 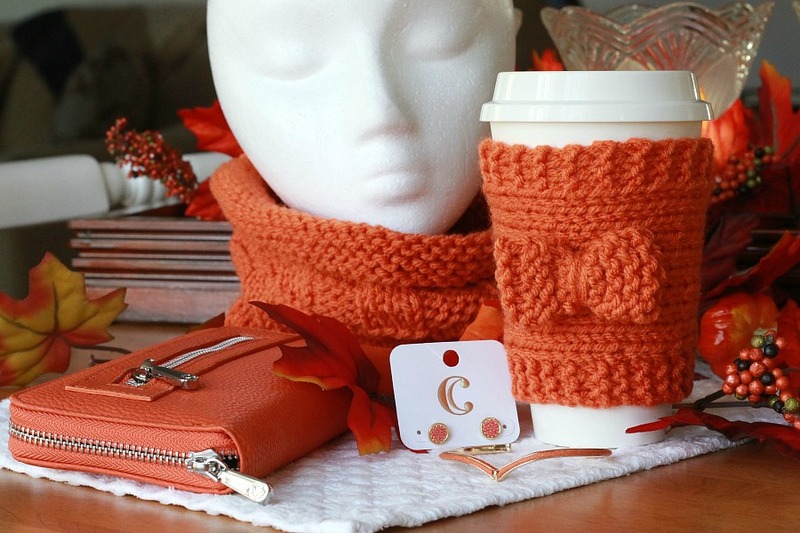 This beverage cozy matches the knitted cowl I posted HERE and is part of a birthday gift along with a matching wallet, bracelet and earrings. Repeat row 1 and 2 until your work measures about 8 inches long. Cast off leaving a length of yarn to sew short edges together. Knot and weave in ends. Cast on 5 stitches using the same yarn or contrasting color. Knit every row until it is about 4-inches long. Cast off and sew short ends together leaving a long length of yarn; wrap the length of yard tightly around the middle cinching in the center a few times. Then sew the bow onto the cozy until secure. Knot and weave in ends. I love your knitted items. That is a nice burnt orange color. 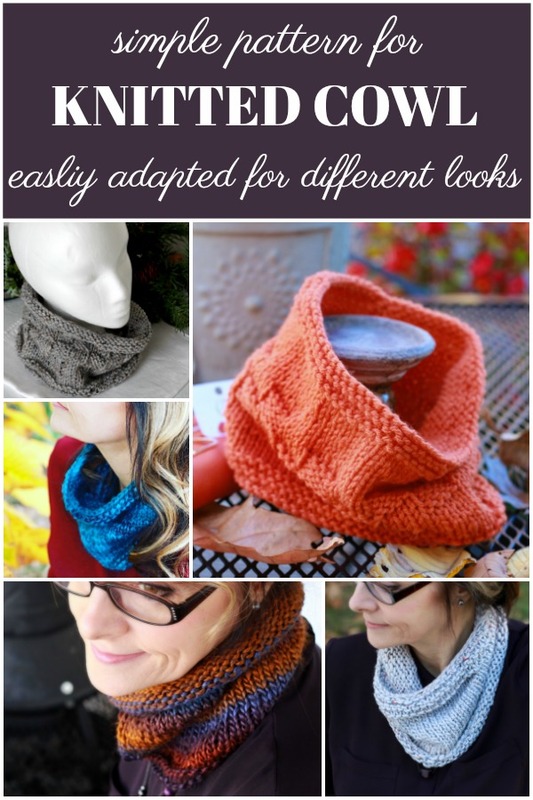 The cozy and the cowl are lovely. You matched everything so beautifully! What a cute cozy. The whole gift is so well coordinated and pretty. The recipient is sure to love it all. I love the things you've been knitting. 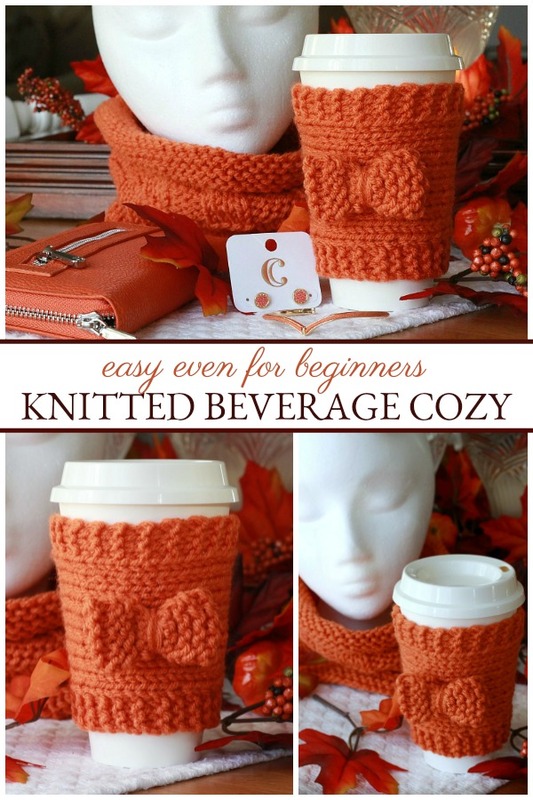 The cozy is just perfect for this time of year. What a wonderful birthday gift! Love the beautiful orange color and detailed handiwork. I love it. That;s a great coordinated gift package.